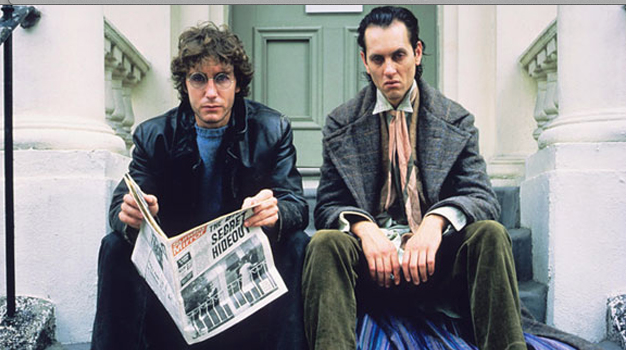 You’ve seen Withnail and I, right? Of course you have. It’s a classic fil…wait, WHAT? You haven’t? You must see it! Right this minute! Go on, we’ll wait. *Taps fingers on table sternly*. 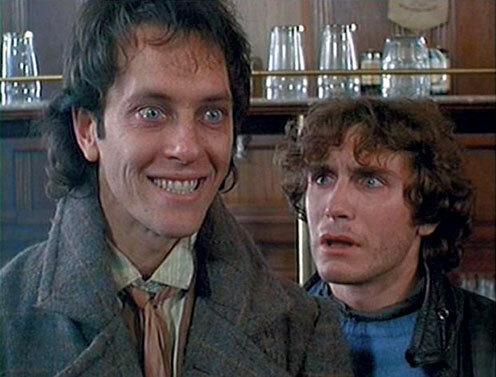 Cut to 5 hours later (because you had to watch it twice and have a nap because you were tipsy). Now… don’t you feel better? Something was missing, wasn’t it? 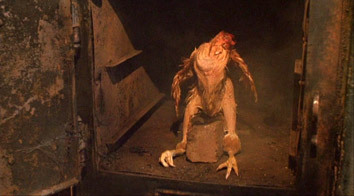 For years, every time I’d roast a chicken, I’d be tempted to stand it up in the oven, just for giggles. Now, I know cooking chicken on a beer can is a thing but I am way too accident prone to try to balance a large, slippery chicken on a tallboy . Then I saw this, noticed it was only $20 and decided that I must have it. 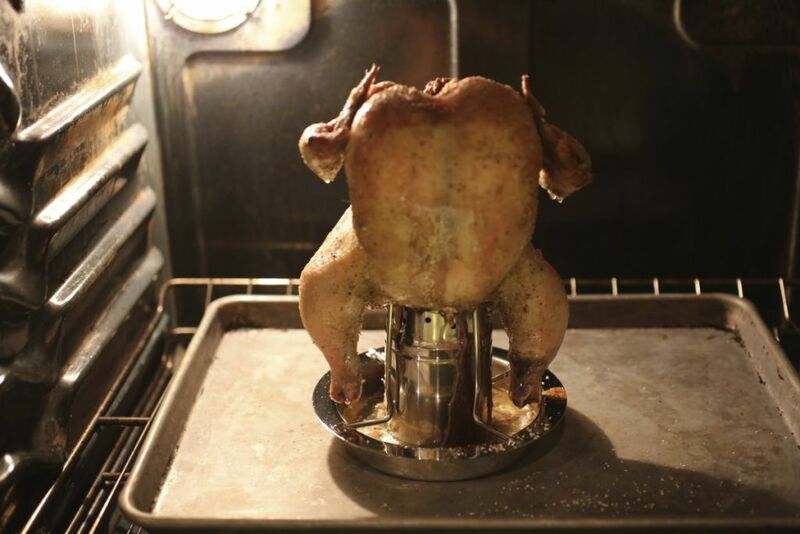 I have to tell you, it actually works incredibly well and, more importantly, your chicken will look hilarious as it hangs out, sitting up, in your oven. 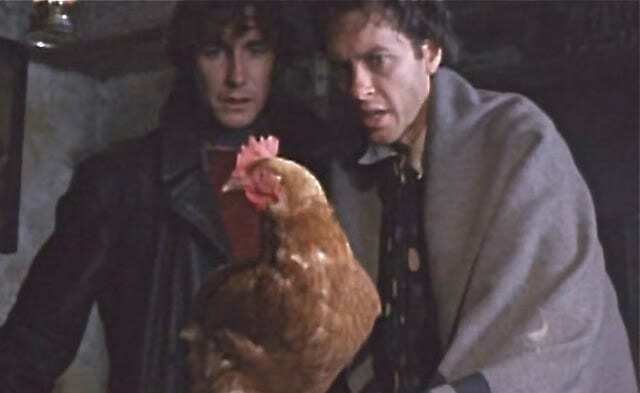 I imagine this will be me, Matt and one of our chickens very soon. I used a recipe from Cooks Illustrated, which I’m kind of addicted to. Their recipes tend to be great, though they often take something very simple and make it super complicated. I’m sure they’ve tested everything but sometimes I find myself pointing at a 15 step process, rolling my eyes and taking a short-cut. It also annoys me that they charge for everything and this whackadoodle is the richest man on PBS. In this case, the recipe was a bit involved but the result was definitely worth it. I adapted it a bit, adding garlic and fresh lemon to cut the sweetness a bit, but the overall process came from them. 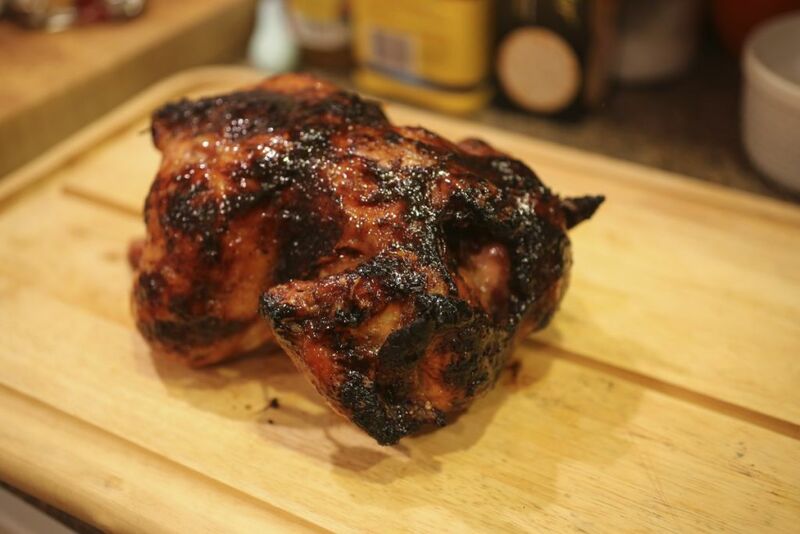 It really does end up with incredibly crispy skin which is kind of the point of roasting a whole chicken, right? Using fingers or handle of wooden spoon, carefully separate skin from thighs and breast. Using metal skewer, poke 15 to 20 holes in fat deposits on top of breasts and thighs. Tuck wingtips underneath chicken. If using a vertical roaster, set it up . If using the beer can, open it and pour out (or drink, duh!)) about half the liquid. Spray roaster or can lightly with nonstick cooking spray and place in middle of roasting pan. Slide chicken over can so drumsticks reach down to bottom of can, chicken stands upright, and breast is perpendicular to bottom of pan. Roast until skin starts to turn golden and instant-read thermometer inserted in thickest part of breast registers 140 degrees, 75 to 90 minutes. Carefully remove chicken and pan from oven and increase oven temperature to 500 degrees. While chicken cooks, stir cornstarch and water together in small bowl until no lumps remain; set aside. Bring remaining glaze ingredients to simmer in medium saucepan over medium-high heat. Cook, stirring occasionally, until reduced to ¾ cup, 6 to 8 minutes. Slowly whisk cornstarch mixture into glaze. Return to simmer and cook 1 minute. Remove pan from heat. When oven is heated to 500 degrees, place 1½ cups water in bottom of roasting pan and return to oven. Roast until entire chicken skin is browned and crisp and instant-read thermometer registers 160 degrees inserted in thickest part of breast and 175 degrees in thickest part of thigh, 24 to 30 minutes. Check chicken halfway through roasting; if top is becoming too dark, place 7-inch square piece of foil over neck and wingtips of chicken and continue to roast (if pan begins to smoke and sizzle, add additional ½ cup water to roasting pan). While chicken rests, strain juices from pan through fine-mesh strainer into fat separator; allow liquid to settle 5 minutes. Whisk 3-4 tablespoons of the remaining glaze into the juices in saucepan and set over low heat. Using kitchen towel, carefully lift chicken off roaster or can and onto platter or cutting board. Carve chicken, adding any accumulated juices to sauce. Serve, passing sauce separately. Only use kosher salt for this recipe, table salt will be way too salty. Some marmalades can be much sweeter than others so add a little less maple syrup if yours is too sweet. Once the chicken is glazed, it will brown very quickly, so check it often. 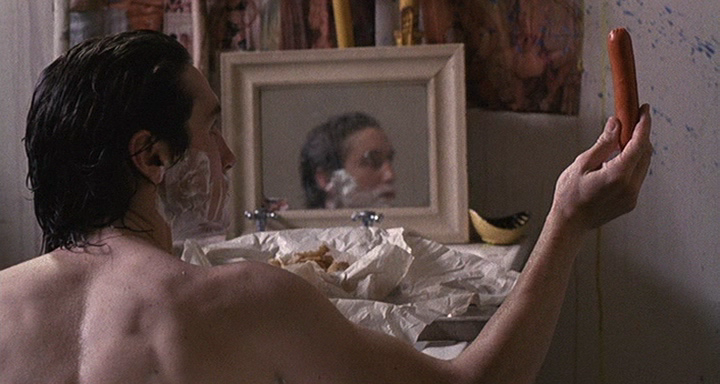 Next, we recreate the sausage in the bathtub scene! NextThe chickens have landed! I repeat, the chickens are in the coop!